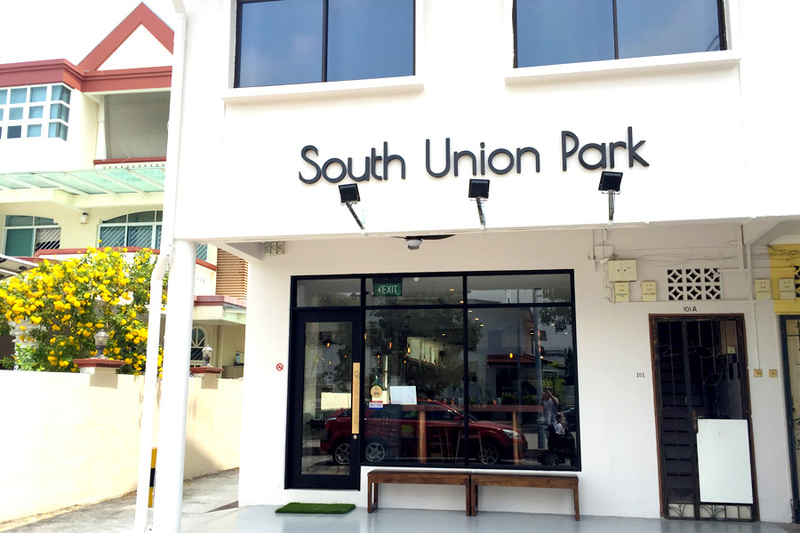 South Union Park is a new 55-seater bistro that opened in March 2016, at 101 Jalan Kembangan, occupying the shophouse unit that a 24 year old France restaurant called “Vis-à-Vis” used to be. 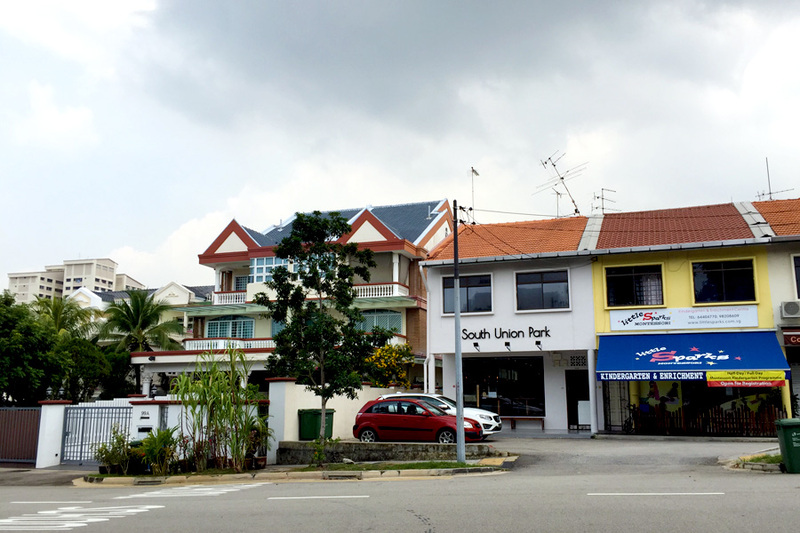 About a 8-10 min walk from Kembangan MRT station, the journey down from Kembangan MRT was pretty smooth as the traffic was light, and I was able to wheel along the road to the bistro. Going up to the bistro itself was not much of an issue too as there was a ramp on the side, but the only real obstacle was a step up into the place. Thankfully the staff were very friendly and helpful. 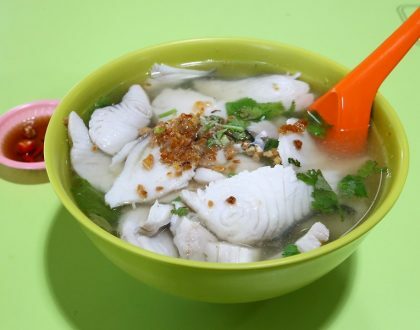 Housed in a nondescript shophouse in a quiet residential neighbourhood in Kembangan, South Union Park is the type of bistro that many (even foodies) might miss due to its lack of exposure. However, I must say that the food is worth the effort to find. The interior is modestly furnished, with a casual warm feel. 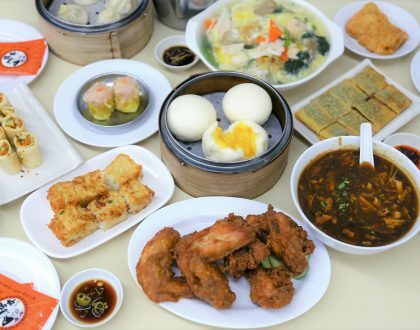 The chefs are trained in fine-dining techniques and have reinterpreted their dishes to create a casual dining experience for their customers. 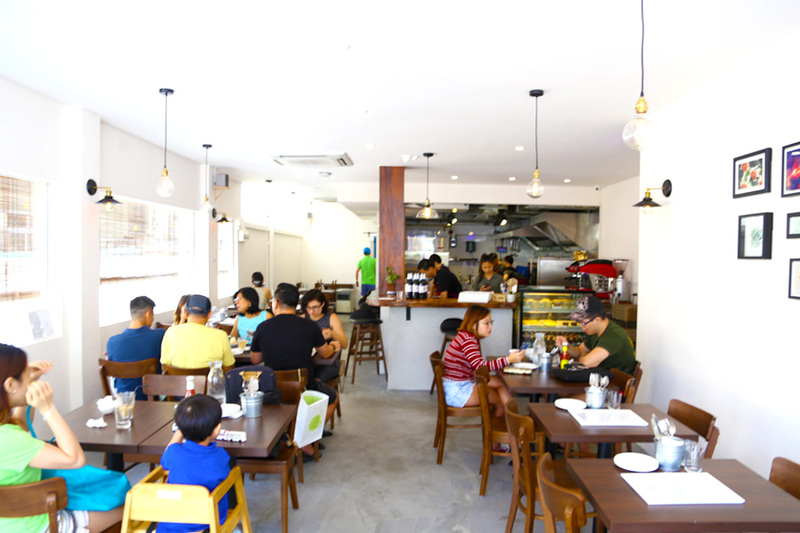 The best part of their dishes is that all of their pastas, burger buns and patties (and more) are made fresh daily and served quickly. We ordered a starter, a main and a dessert. Although, it took a while for the food to come, it was worth the wait as you can taste the freshness of the ingredients. The starter is Poutine ($12), a Canadian dish of fries in cream cheese and some kind of gravy. Warning! This can be very addictive! 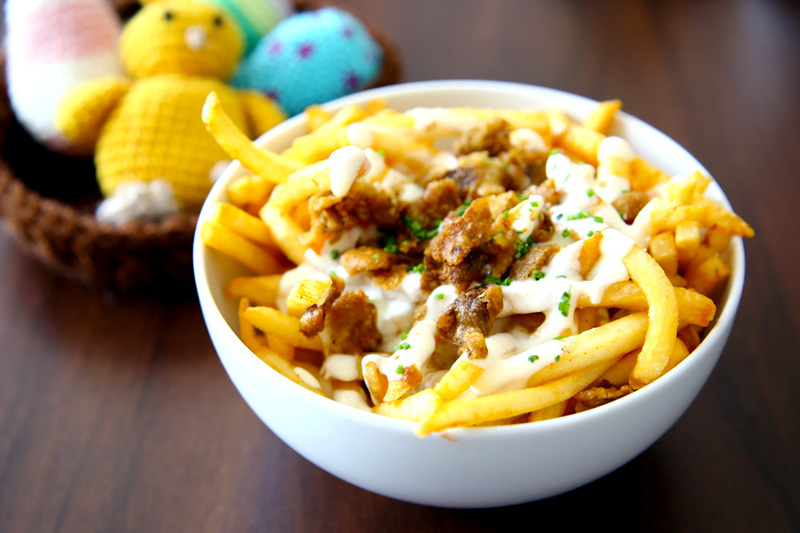 The fries were soaked in duck gravy, cheese sauce and further added with crunchy duck skin – salty and sinfully good. On the other hand, the Duck Confit Pasta ($19) was surprisingly light. 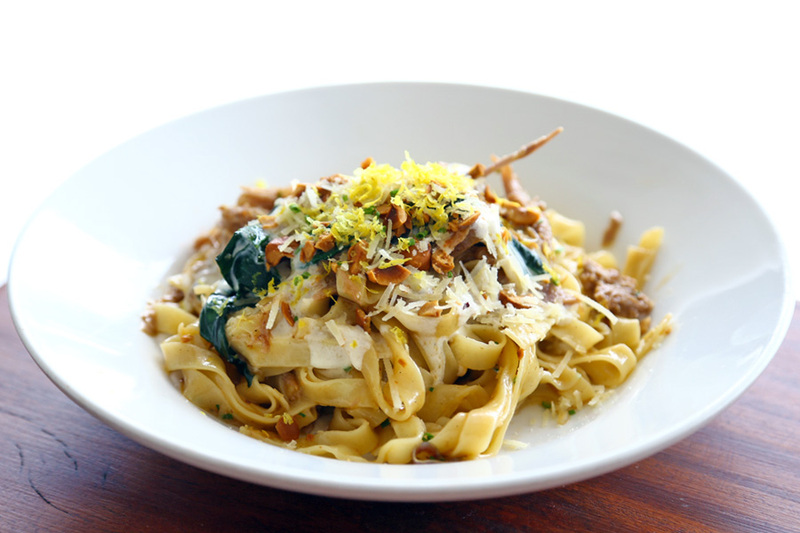 The tagliatelle pasta was freshly made and served in hazelnut cream with sautéed spinach. The cream and the pasta went well together and in a very smart move by the chef, he topped the pasta off with small pieces of hazelnut and zingy lemon zest, which gave the dish a surprise nutty and lemon zest flavour that enhance the savoury dish. We ended our meal with their signature Apple Crumble ($10) dessert. 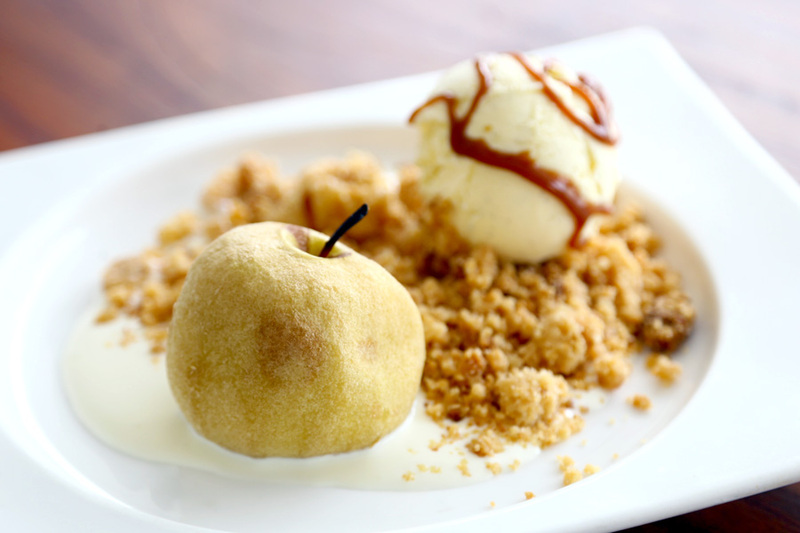 This is not your traditional apple crumble pie; they have deconstructed the dish and make it uniquely their own. They stewed a whole granny smith apple till it is soft and jammy on the inside, and served it warm alongside Greek yoghurt, crunchy crumble, smooth vanilla bean ice cream and topped it all off with a generous drizzles of butterscotch. The best way to eat this dessert is to have a little of everything and eat it together for that explosion of flavours in your mouth. Overall, I really enjoyed the meal and the casual environment. The food was worth the calorie. 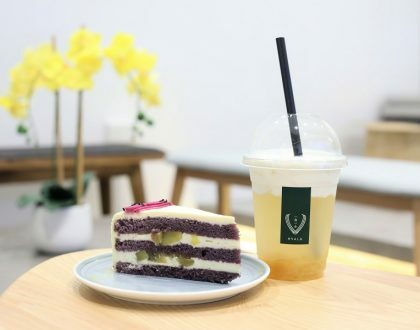 Hopefully, more people come to know about this place and they can be as successful as the previous restaurant. * Written by Benjamin Chia, edited by Daniel Ang @DanielFoodDiary. Benjamin has been using a wheelchair since young. Despite the challenges, he has never let it stopped him from enjoying life. 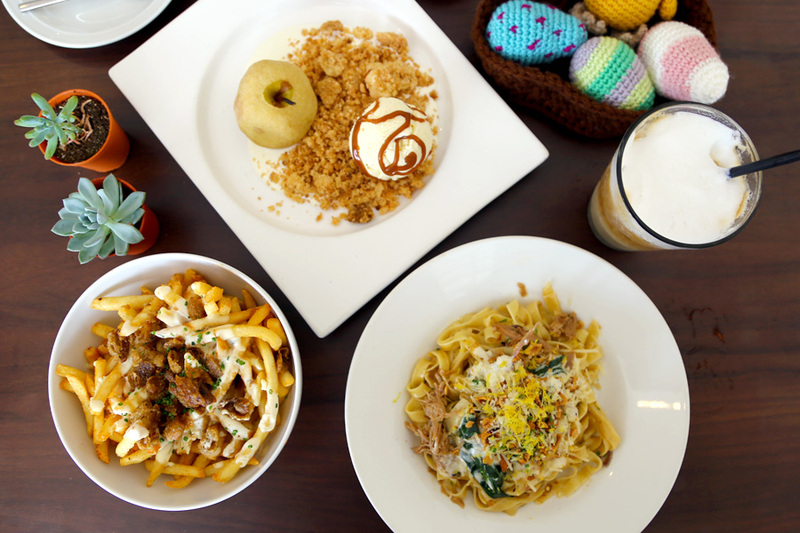 One of the most enjoyable things to him is to eat and share about GOOD FOOD! 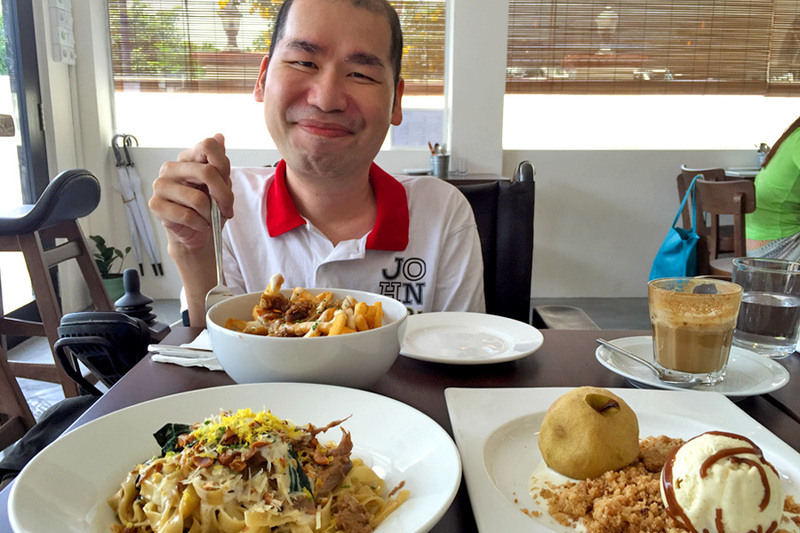 Editor’s note: Special thanks to SPD Singapore (formerly known as Society for the Physically Disabled) for the link-up. Even though Benjamin has some challenges with limb functions which would affect moving around and typing, he is someone very positive, wiling to try, and loves to share about good food (He used to write a food blog!) 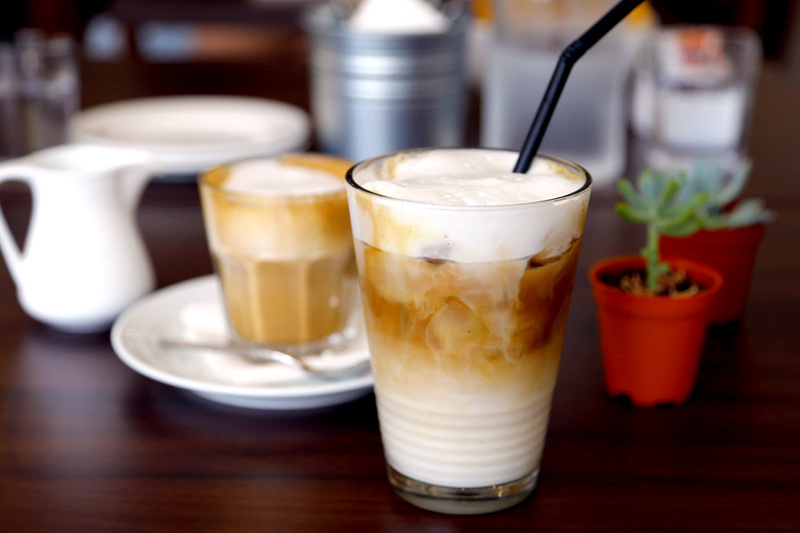 We will continue explore more cafes and restaurants who go the extra mile to help customers with physical needs. Do leave a comment if you know of any. Hey Daniel, thank you so much for the awesome feature of South Union Park. It was heartening to hear you have link up with SPD Singapore for the feature. My name is Tiffany of Atmastel, an Italian restaurant at South Beach Avenue. We’re very supportive of your move and would like to connect with you to discuss how we can help.